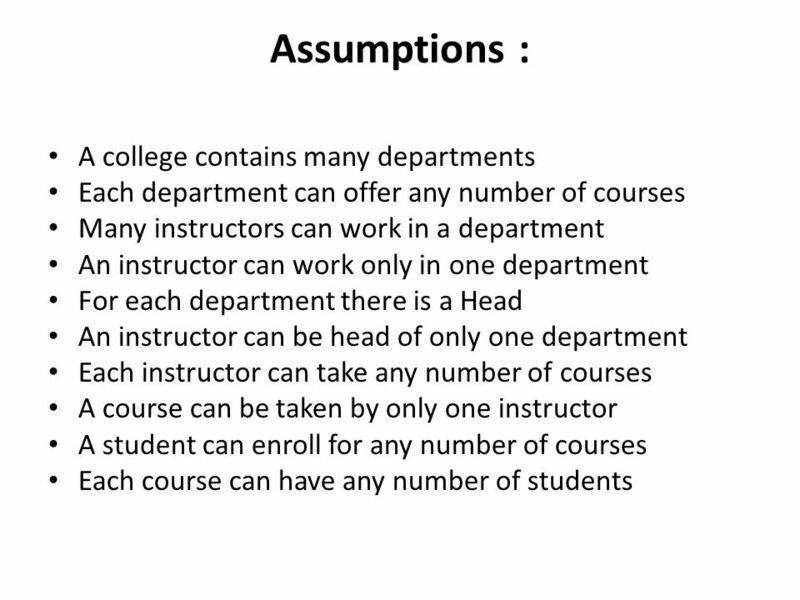 One course is enrolled by multiple students and one student enrolls for multiple courses, hence the cardinality between course and student is Many to Many. 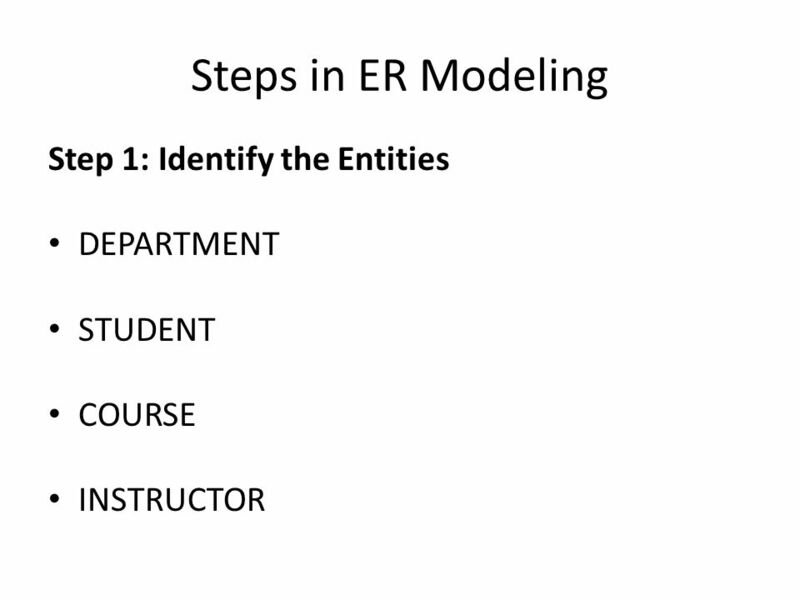 The department offers many courses and each course belongs to only one department, hence the cardinality between department and course is One to Many. 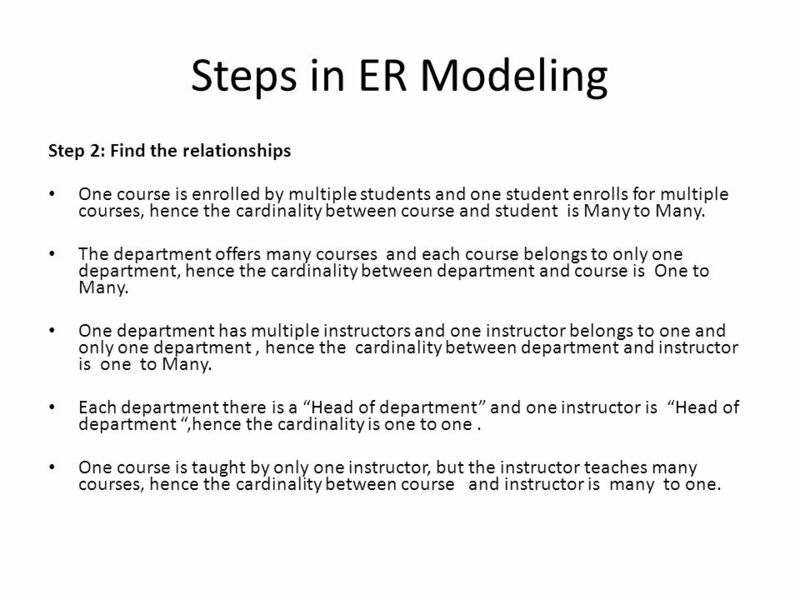 One department has multiple instructors and one instructor belongs to one and only one department , hence the cardinality between department and instructor is one to Many. Each department there is a “Head of department” and one instructor is “Head of department “,hence the cardinality is one to one . One course is taught by only one instructor, but the instructor teaches many courses, hence the cardinality between course and instructor is many to one. 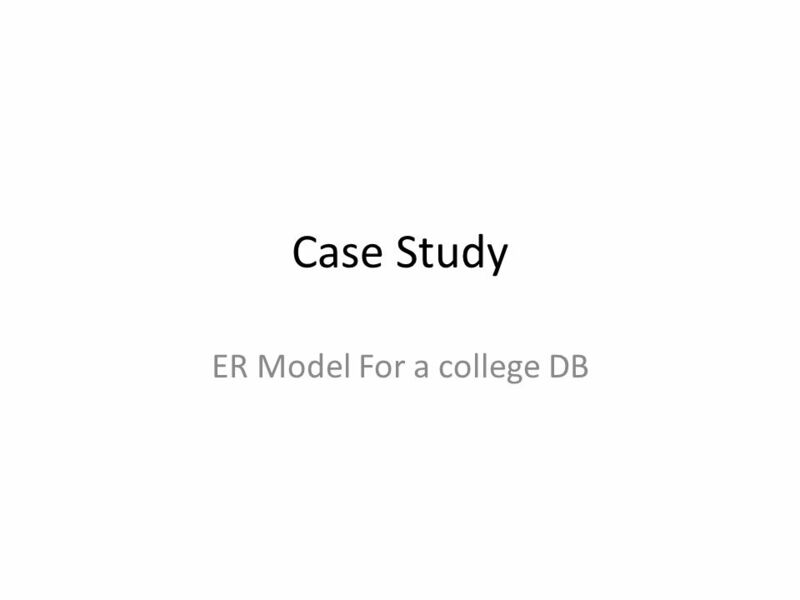 Download ppt "ER Model For a college DB"
Exercise 1 Consider the ER diagram below. Assume that an employee may work in up to two departments or may not be assigned to any department. Assume that. DBMS, RDBMS Concepts BBSR, 06\11\2012, Prof. Suraj Sharma, IIIT-Bh Insert Client/Partner logo. E NTITY R ELATIONSHIP D IAGRAMS Joe Meehean 1. 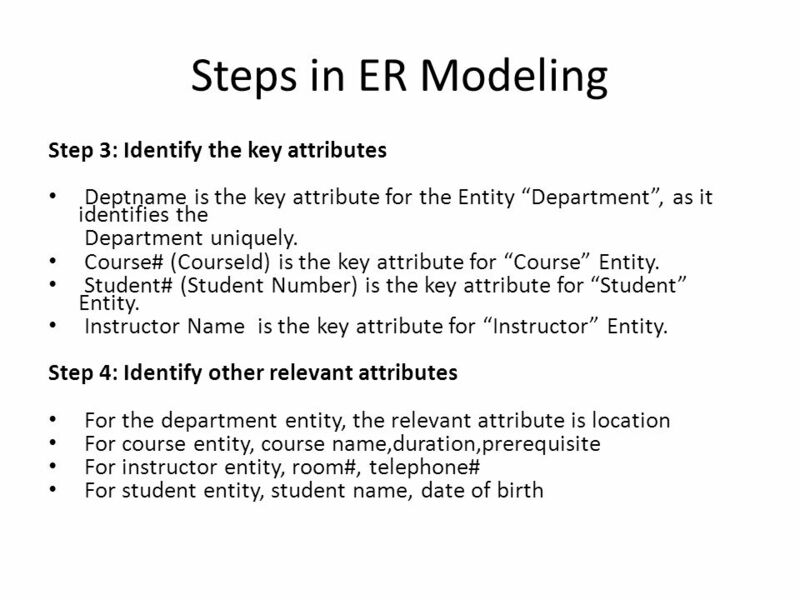 E NTITY R ELATIONSHIP M ODEL Entity type an object (noun) e.g., student attributes (e.g., last name) Relationship. 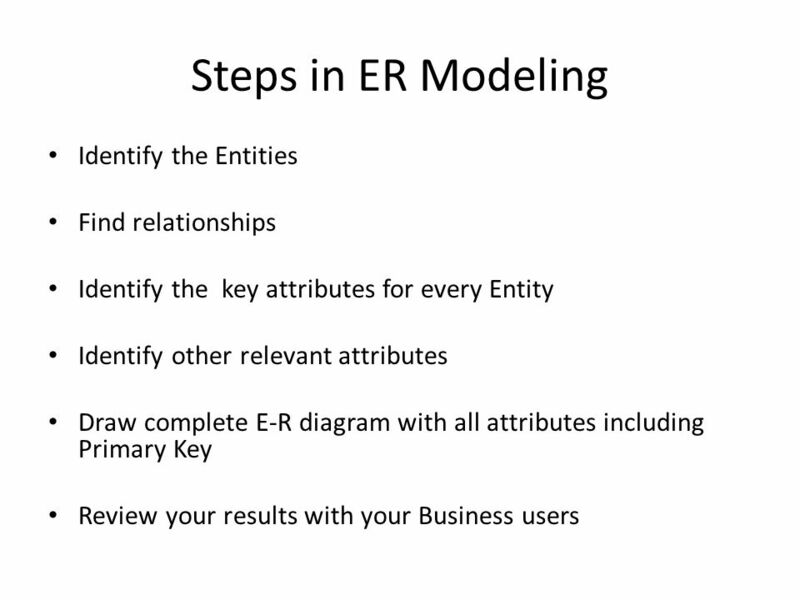 1 Database Theoretic Basis Entity Relationship (E-R) Modeling Database Theoretic Basis Entity Relationship (E-R) Modeling. 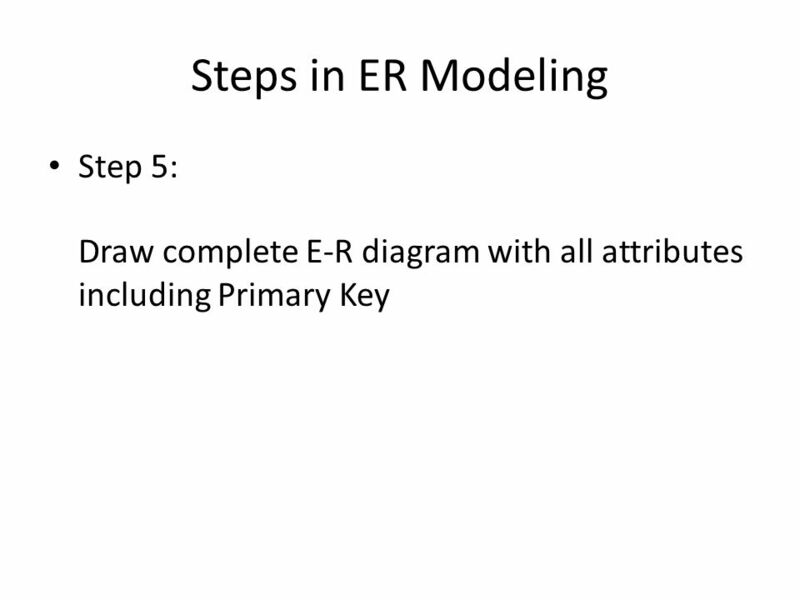 Ch5: ER Diagrams - Part 1 Much of the material presented in these slides was developed by Dr. Ramon Lawrence at the University of Iowa. 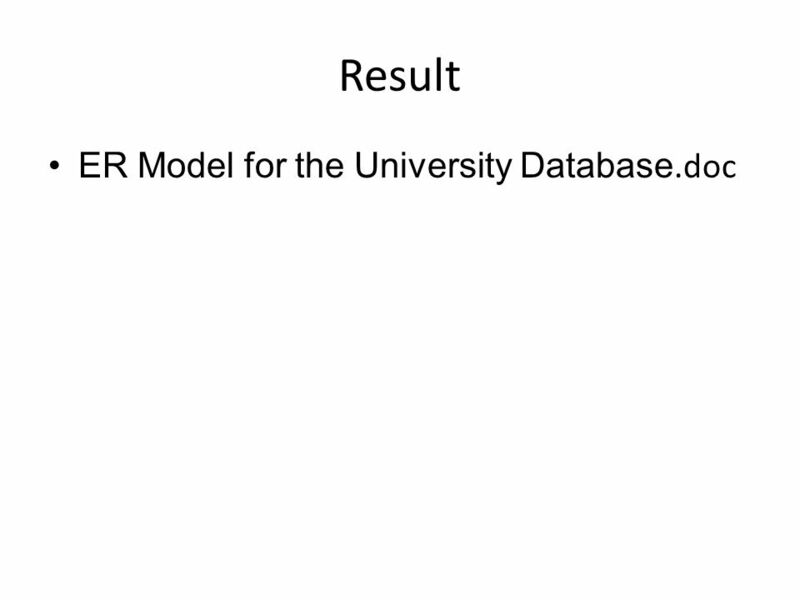 Concepts of Database Management Seventh Edition Chapter 6 Database Design : ERD Model.